Small Business Saturday is coming to Helmsley in November and December. And even though it seems a little early, as part of the event we are starting to get ready for Christmas in Helmsley! Duncombe Sawmill has been chosen as one of the “Small Business Saturday 100” this year, so we will definitely be celebrating in the market place on 2nd November when the Small Business Saturday Bus Tour comes to Helmsley from 10am – 1pm. Steve, our joiner, will be there from 10.30 – giving a demonstration on how we make our picnic tables, and possibly some of our garden gates too. There will also be demonstrations by the Stickman andAmanda Field Millinery; and some of the Helmsley chefs will be doing food tastings. 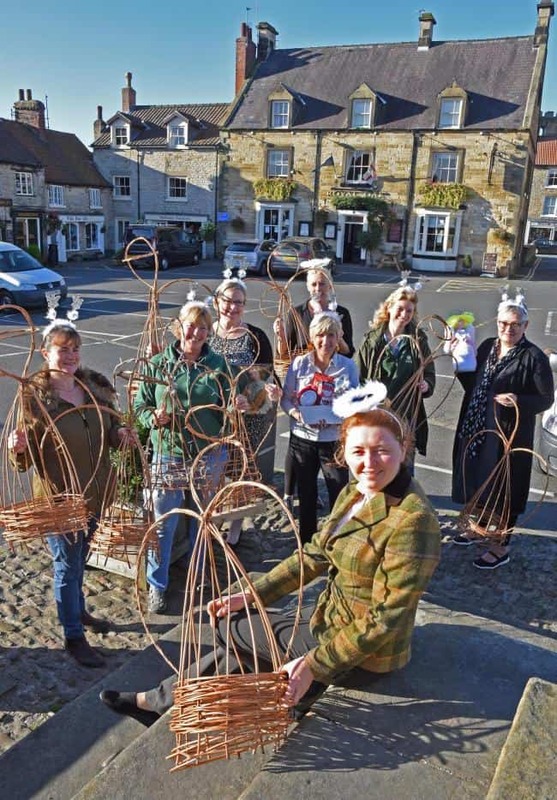 We have also been busy making angels to decorate our display area in town as part of the Angel Festival and Small Business Saturday events taking place in Helmsley from 3rd December. We will be celebrating in our display area near the Castle where we will have wooden Christmas discs for children to decorate and a great game for all the family to play from 10.30 onwards. Come and see us on either day and enjoy in the fun!